Special and differential treatment (S&DT), which grants certain preferences and flexibilities to developing countries and Least Developed Countries (LDCs), is a cornerstone of the rules-based multilateral trading system. At present, all WTO developing country members, including those in the Caribbean, benefit from S&DT under the WTO Agreements to assist their integration into the global trading system. However, recent proposals made by some developed country members would significantly overhaul the WTO’s current S&DT approach. The most concrete and far-reaching proposal, which was tabled by the United States (US) in February 2019, proposes certain exclusionary criteria, which if implemented, would deny some Caribbean countries eligibility for S&DT in current and future WTO negotiations. In this article, we highlight why the current reform proposals on the table are problematic from the Caribbean’s perspective and we raise some issues for consideration going forward. S&DT: The Status Quo S&DT is premised on the fact that development disparities between developed and developing countries equate, in trade terms, to inequality in their competitive footing. As a result, the trade arena has long accepted that the developing country cohort should not be expected to liberalize its trade at the same pace as developed countries. According to a summary prepared by the WTO Secretariat in 2013, a total of 148 S&DT provisions exist across the WTO Agreements and fall into six main categories: provisions aimed at increasing the trade opportunities of developing countries; provisions under which WTO Members should safeguard the interests of developing countries; flexibility of commitments, of action, and use of policy instruments; transitional time periods; technical assistance, and provisions relating to the LDCs. Eligibility for S&DT is based on a country’s self-designation as a ‘developing country’. Unlike LDCs whose categorization in the WTO is based on the United Nations’ classification, there currently exists no criteria governing WTO Members’ ability to self-designate as a ‘developing country’. As such, there is notable heterogeneity among WTO developing country members, ranging from economic behemoths like China and India to Small Island Developing States (SIDS) like those in the Caribbean. The current WTO S&DT model has been subject to criticism by both developing and developed countries. Developing countries have questioned the efficacy of the current S&DT provisions which are mostly “best endeavor” clauses and are imprecisely articulated. As a result, many of the provisions remain difficult to concretely implement or enforce. Concerns with the form of S&DT led to a commitment by WTO Members in the 2001 Doha Declaration to review S&DT provisions “with a view to strengthening them and making them more precise, effective and operational”. This mandate was furthered at the Bali Ministerial in 2013 with the establishment of a Monitoring Mechanism on Special and Differential Treatment. However, despite several proposals tabled, mainly on agreement-specific S&DT, progress in the discussions has been slow. Developed countries’ disenchantment with the current S&DT model stems from their belief that advanced emerging economies should be making more commitments commensurate with their improved economic fortune and increasing share in global trade. As such, there appears to be growing support among developed countries for greater differentiation among developing countries for S&DT purposes. Specifically, in its Concept Note of September 2018, the EU advocated a move away from what was termed “open-ended block exemptions” towards “a needs-driven and evidence-based approach that will ensure that SDT will be as targeted as possible”. In its discussion paper on WTO reform, Canada also called for “a new approach” which “recognizes the need for flexibility for development purposes while acknowledging that not all countries need or should benefit from the same level of flexibility”. In a communication published in January 2019 entitled An Undifferentiated WTO: Self-Declared Development Status Risks Institutional Relevance, the US declared that the current S&DT model based on self-declaration as a ‘developing country’ was no longer feasible and was to blame for the current deadlock in the WTO’s negotiation function. With reference to a slew of mainly macroeconomic and trade indicators, the US argued that several developing countries now surpass developed countries in their levels of development and that the developed/ developing country dichotomy was no longer applicable. While the EU and Canada merely dipped their toes in the water in their calls for greater differentiation among developing countries for S&DT purposes, the US swam the whole nine yards in a later communication of February 2019 which proposes to exclude four noncumulative categories of WTO Members from S&DT in current and future WTO negotiations. The most concerning of these proposed criteria for Caribbean countries is the third criterion which seeks to exclude a WTO Member classified as “high income” by the World Bank. This would bar Antigua & Barbuda, Barbados and Trinidad & Tobago from accessing S&DT in current and future WTO negotiations. It would also exclude the Bahamas which is currently in the process of accession. The World Bank uses Gross National Income/Population (GNI) per capita as the basis for classifying countries into income groupings and designates countries as “high-income economies” if they have a GNI per capita of $12,056 or more (for the fiscal year 2019). GNI per capita is a problematic development indicator. It does not take into account inequality within a population unlike the Gini coefficient which measures income inequality in a population. As such, a country may be classified as “high income” but may in fact also have a high Gini coefficient. The GNI per capita metric also ignores these Caribbean countries’ inherent vulnerabilities to shocks of a financial, economic or climate/natural-disaster related nature, which could significantly set back hard-fought development gains. One of the most pertinent examples was Dominica which sustained damage equivalent to 226 percent of its GDP following Hurricane Maria in 2017. Despite its shortcomings, the GNI per capita metric has been the basis on which Caribbean countries have been denied concessionary lending and official development assistance (ODA) and the introduction of such a metric into the WTO setting would undermine their access to needed flexibilities and trade assistance. An even more problematic aspect of the US proposal is the catch-all statement that “nothing in this Decision precludes reaching an agreement that in sector-specific negotiations other Members are also ineligible for special and differential treatment.” While the exact reach of this is unclear, it implies that any country, including LDCs, could potentially be excluded from accessing S&DT under sectorspecific negotiations. The US’ arguments were critiqued in a rebuttal communication released jointly by a group of developing countries (China, India, South Africa, the Bolivarian Republic of Venezuela, Lao People’s Democratic Republic, the Plurinational State of Bolivia, Kenya and Cuba) entitled Continued Relevance of Special and Differential Treatment in favour of Developing Members to promote Development and Ensure Inclusiveness. These countries highlighted that on a wide range of socio-economic indicators, developing countries continue to lag behind developed countries, despite some macroeconomic gains. Developing countries also remain beset by negotiating capacity constraints which hamper their participation in the formulation of multilateral trade rules. Another point raised by the developing country communication is that compared to original WTO Members, Article XII Members - or Members that have acceded to the WTO after it came into existence - made more extensive commitments when acceding to the WTO. The developing country paper also highlighted the hypocrisy of the current S&DT approach of the WTO which allows for “reverse S&DT”, that is protection of sensitive areas such as agricultural subsidies in developed countries which have prejudiced developing countries’ agricultural industries and food security. However, while it is early days yet, the US pressure appears to already be making some inroads. Even before the formal tabling of the US proposal, in October 2018, the Separate Customs Territory of Taiwan, Penghu, Kinmen and Matsu declared itself a “developed country” in the WTO. 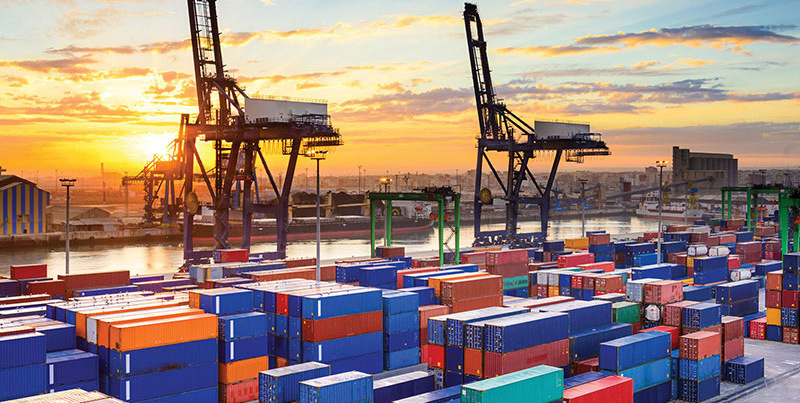 In March 2019, the Brazilian Government announced it will “start foregoing” S&DT in the WTO, although it noted that this does not imply “any change or reduction in the current flexibility regarding certain rules in deals with the WTO in effect”. Caribbean countries from accessing S&DT in current and future WTO negotiations. Even if we are to accept that the S&DT model at the WTO is in need of reform, the process for its refinement and improvement has to be inclusive. As part of this inclusive approach, the Caribbean should put forward its own inclusionary criteria to ensure that none of its countries are excluded from S&DT. Proponents for the creation of a Small Vulnerable Economies sub-category of developing States – many of which are Caribbean states – recognized that there were many non-LDC developing countries which are vulnerable due to their high levels of trade openness, the concentration of their exports in a few products, high transport costs and limited capacity in general. As a preliminary step, few would disagree, for example, that S&DT should always be available to the following categories of WTO members: (1) WTO Members whose high level of trade openness leaves them highly vulnerable to external financial and economic shocks and; (2) WTO Members whose capacity constraints impede their ability to not only implement commitments made under the WTO agreements, but to reap the benefits of international trade. (3) WTO Members whose climate vulnerability significantly impairs their ability to trade. Weather-related events can impact not only trade infrastructure, such as airports and seaports (as demonstrated in Dominica), but also traded commodities (such as the nutmeg crop in Grenada after the passage of Hurricane Ivan in 2004). Work on any objective criteria for identifying these countries should be carefully done in a way so as not to be merely exclusionary, but should ensure that S&DT remains available to the most vulnerable. Dr. Jan Yves Remy is the Deputy Director of the Shridath Ramphal Centre for International Trade Law, Policy & Services at the University of the West Indies, Cave Hill (SRC). Alicia Nicholls is a Trade Researcher at the SRC.